Hydrogen cyanide (HCN), sometimes called prussic acid, is an organic compound with the chemical formula HCN. It is a colorless, extremely poisonous and flammable liquid that boils slightly above room temperature, at 25.6 °C (78.1 °F). HCN is produced on an industrial scale and is a highly valuable precursor to many chemical compounds ranging from polymers to pharmaceuticals. Hydrogen cyanide is a linear molecule, with a triple bond between carbon and nitrogen. A minor tautomer of HCN is HNC, hydrogen isocyanide. Hydrogen cyanide is weakly acidic with a pKa of 9.2. It partially ionizes in water solution to give the cyanide anion, CN−. A solution of hydrogen cyanide in water, represented as HCN, is called hydrocyanic acid. The salts of the cyanide anion are known as cyanides. HCN has a faint bitter almond-like odor that some people are able to detect owing to a recessive genetic trait. The volatile compound has been used as inhalation rodenticide and human poison, as well as for killing whales. Cyanide ions interfere with iron-containing respiratory enzymes. Hydrogen cyanide was first isolated from a blue pigment (Prussian blue) which had been known since 1704 but whose structure was unknown. It is now known to be a coordination polymer with a complex structure and an empirical formula of hydrated ferric ferrocyanide. In 1752, the French chemist Pierre Macquer made the important step of showing that Prussian blue could be converted to iron oxide plus a volatile component and that these could be used to reconstitute it. The new component was what we now know as hydrogen cyanide. Following Macquer's lead, it was first prepared from Prussian blue by the Swedish chemist Carl Wilhelm Scheele in 1782, and was eventually given the German name Blausäure (lit. "Blue acid") because of its acidic nature in water and its derivation from Prussian blue. In English, it became known popularly as prussic acid. In 1787, the French chemist Claude Louis Berthollet showed that prussic acid did not contain oxygen, an important contribution to acid theory, which had hitherto postulated that acids must contain oxygen (hence the name of oxygen itself, which is derived from Greek elements that mean "acid-former" and are likewise calqued into German as Sauerstoff). In 1811, Joseph Louis Gay-Lussac prepared pure, liquified hydrogen cyanide. In 1815, Gay-Lussac deduced Prussic acid's chemical formula. The radical cyanide in hydrogen cyanide was given its name from cyan, not only an English word for a shade of blue but the Greek word for blue (Ancient Greek: κυανοῦς), again owing to its derivation from Prussian blue. Hydrogen cyanide forms in at least limited amounts from many combinations of hydrogen, carbon, and ammonia. Hydrogen cyanide is currently produced in great quantities by several processes, as well as being a recovered waste product from the manufacture of acrylonitrile. In 2006 between 500 million and 1 billion pounds were produced in the US. The energy needed for the reaction is provided by the partial oxidation of methane and ammonia. This reaction is akin to steam reforming, the reaction of methane and water to give carbon monoxide and hydrogen. This reaction is sometimes the basis of accidental poisonings because the acid converts a nonvolatile cyanide salt into the gaseous HCN. The large demand for cyanides for mining operations in the 1890s was met by George Thomas Beilby, who patented a method to produce hydrogen cyanide by passing ammonia over glowing coal in 1892. This method was used until Hamilton Castner in 1894 developed a synthesis starting from coal, ammonia, and sodium yielding sodium cyanide, which reacts with acid to form gaseous HCN. HCN is the precursor to sodium cyanide and potassium cyanide, which are used mainly in gold and silver mining and for the electroplating of those metals. Via the intermediacy of cyanohydrins, a variety of useful organic compounds are prepared from HCN including the monomer methyl methacrylate, from acetone, the amino acid methionine, via the Strecker synthesis, and the chelating agents EDTA and NTA. 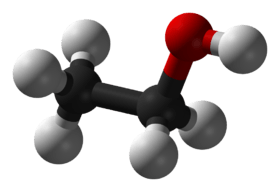 Via the hydrocyanation process, HCN is added to butadiene to give adiponitrile, a precursor to Nylon-6,6. HCN is obtainable from fruits that have a pit, such as cherries, apricots, apples, and bitter almonds, from which almond oil and flavoring are made. Many of these pits contain small amounts of cyanohydrins such as mandelonitrile and amygdalin, which slowly release hydrogen cyanide. One hundred grams of crushed apple seeds can yield about 70 mg of HCN. Some millipedes release hydrogen cyanide as a defense mechanism, as do certain insects, such as some burnet moths. 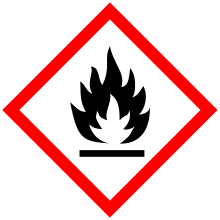 Hydrogen cyanide is contained in the exhaust of vehicles, in tobacco and wood smoke, and in smoke from burning nitrogen-containing plastics. So-called "bitter" roots of the cassava plant may contain up to 1 gram of HCN per kilogram. It has been postulated that carbon from a cascade of asteroids (known as the Late Heavy Bombardment), resulting from interaction of Jupiter and Saturn, blasted the surface of young Earth and reacted with nitrogen in Earth's atmosphere to form HCN. Some authors have shown that neurons can produce hydrogen cyanide upon activation of their opioid receptors by endogenous or exogenous opioids. They have also shown that neuronal production of HCN activates NMDA receptors and plays a role in signal transduction between neuronal cells (neurotransmission). Moreover, increased endogenous neuronal HCN production under opioids was seemingly needed for adequate opioid analgesia, as analgesic action of opioids was attenuated by HCN scavengers. They considered endogenous HCN to be a neuromodulator. It has also been shown that, while stimulating muscarinic cholinergic receptors in cultured pheochromocytoma cells increases HCN production, in a living organism (in vivo) muscarinic cholinergic stimulation actually decreases HCN production. Leukocytes generate HCN during phagocytosis, and can kill bacteria, fungi, and other pathogens by generating several different toxic chemicals, one of which is hydrogen cyanide. The vasodilatation caused by sodium nitroprusside has been shown to be mediated not only by NO generation, but also by endogenous cyanide generation, which adds not only toxicity, but also some additional antihypertensive efficacy compared to nitroglycerine and other non-cyanogenic nitrates which do not cause blood cyanide levels to rise. Hydrogen cyanide has been discussed as a precursor to amino acids and nucleic acids, and is proposed to have played a part in the origin of life. Although the relationship of these chemical reactions to the origin of life theory remains speculative, studies in this area have led to discoveries of new pathways to organic compounds derived from the condensation of HCN. HCN has been detected in the interstellar medium and in the atmospheres of carbon stars. Since then, extensive studies have probed formation and destruction pathways of HCN in various environments and examined its use as a tracer for a variety of astronomical species and processes. HCN can be observed from ground-based telescopes through a number of atmospheric windows. The J=1→0, J=3→2, J= 4→3, and J=10→9 pure rotational transitions have all been observed. HCN is formed in interstellar clouds through one of two major pathways: via a neutral-neutral reaction (CH2 + N → HCN + H) and via dissociative recombination (HCNH+ + e− → HCN + H). The dissociative recombination pathway is dominant by 30%; however, the HCNH+ must be in its linear form. Dissociative recombination with its structural isomer, H2NC+, exclusively produces hydrogen isocyanide (HNC). HCN is destroyed in interstellar clouds through a number of mechanisms depending on the location in the cloud. In photon-dominated regions (PDRs), photodissociation dominates, producing CN (HCN + ν → CN + H). At further depths, photodissociation by cosmic rays dominate, producing CN (HCN + cr → CN + H). In the dark core, two competing mechanisms destroy it, forming HCN+ and HCNH+ (HCN + H+ → HCN+ + H; HCN + HCO+ → HCNH+ + CO). The reaction with HCO+ dominates by a factor of ~3.5. HCN has been used to analyze a variety of species and processes in the interstellar medium. It has been suggested as a tracer for dense molecular gas and as a tracer of stellar inflow in high-mass star-forming regions. Further, the HNC/HCN ratio has been shown to be an excellent method for distinguishing between PDRs and X-ray-dominated regions (XDRs). A hydrogen cyanide concentration in the range of 100–200 ppm in air will kill a human within 10 to 60 minutes. A hydrogen cyanide concentration of 2000 ppm (about 2380 mg/m3) will kill a human in about 1 minute. The toxicity is caused by the cyanide ion, which halts cellular respiration by acting as a non-competitive inhibitor for an enzyme in mitochondria called cytochrome c oxidase. Specifically CN− binds to iron in the heme subunit in cytochromes, interrupting electron transfer. Hydrogen cyanide has been absorbed into a carrier for use as a pesticide. Under IG Farben's brand name Zyklon B (German > Cyclone B, with the B standing for Blausäure – "blue acid"), it was used in Nazi extermination camps to facilitate the Final Solution during World War II. The same product is currently made in the Czech Republic under the trademark "Uragan D2". Hydrogen cyanide was also the agent employed in judicial execution in some U.S. states, where it was produced during the execution by the action of sulfuric acid on an egg-sized mass of potassium cyanide. Hydrogen cyanide is commonly listed among chemical warfare agents known as blood agents. As a substance listed under Schedule 3 of the Chemical Weapons Convention as a potential weapon which has large-scale industrial uses, manufacturing plants in signatory countries which produce more than 30 tonnes per year must be declared to, and can be inspected by, the Organisation for the Prohibition of Chemical Weapons. During the First World War, the United States and Italy used hydrogen cyanide against the Central Powers in 1918. France had used it in combat already in 1916, but this proved to be ineffective due to weather conditions. Under the name prussic acid, HCN has been used as a killing agent in whaling harpoons. From the middle of the 18th century it was used in a number of poisoning murders and suicides. Cyanide has also been used in major occurrences of suicide in the 20th century, including the deaths of over 900 people at Jonestown and the mass suicides in 1945 Nazi Germany. Hydrogen cyanide gas in air is explosive at concentrations over 5.6%. This is far above its toxicity level. ↑ "Hydrogen Cyanide – Compound Summary". PubChem Compound. USA: National Center for Biotechnology Information. 16 September 2004. Identification. Retrieved 2012-06-04. ↑ "hydrogen cyanide (CHEBI:18407)". Chemical Entities of Biological Interest. UK: European Bioinformatics Institute. 18 October 2009. Main. Retrieved 2012-06-04. 1 2 3 4 5 "NIOSH Pocket Guide to Chemical Hazards #0333". National Institute for Occupational Safety and Health (NIOSH). ↑ "Hydrogen cyanide". 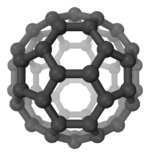 NIST Chemistry WebBook. 1 2 "Hydrogen cyanide". Immediately Dangerous to Life and Health. National Institute for Occupational Safety and Health (NIOSH). ↑ "Cyanide, inability to smell". Online Mendelian Inheritance in Man. Retrieved 2010-03-31. 1 2 Lytle, Thomas. "Poison Harpoons". Retrieved 28 October 2013. ↑ Berthollet (presented: 1787 ; published: 1789) "Mémoire sur l'acide prussique" (Memoir on prussic acid), Mémoires de l'Académie Royale des Sciences, pages 148–161. Reprinted in: Berthollet (1789) "Extrait d'un mémoire sur l'acide prussique" (Extract of a memoir on prussic acid), Annales de chimie 1: 30–39. ↑ Newbold, B. T. (1999-11-01). "Claude Louis Berthollet: A Great Chemist in the French Tradition". Canadian Chemical News. Retrieved 2010-03-31. ↑ Gay-Lussac (1811) "Note sur l'acide prussique" (Note on prussic acid), Annales de chimie, 44: 128 – 133. ↑ Gay-Lussac (1815) "Recherche sur l'acide prussique" (Research on prussic acid) Annales de Chimie 95: 136–231. ↑ . EPA. Retrieved on 2013-01-31. ↑ Andrussow, L. (1935). "The catalytic oxydation of ammonia-methane-mixtures to hydrogen cyanide". Angewandte Chemie. 48 (37): 593–595. doi:10.1002/ange.19350483702. ↑ Endter, F. (1958). "Die technische Synthese von Cyanwasserstoff aus Methan und Ammoniak ohne Zusatz von Sauerstoff". Chemie Ingenieur Technik. 30 (5): 305–310. doi:10.1002/cite.330300506. ↑ Vetter, J. (2000). "Plant cyanogenic glycosides". Toxicon. 38 (1): 11–36. doi:10.1016/S0041-0101(99)00128-2. PMID 10669009. ↑ Jones, D. A. (1998). "Why are so many food plants cyanogenic?". Phytochemistry. 47 (2): 155–162. doi:10.1016/S0031-9422(97)00425-1. PMID 9431670. ↑ "Are Apple Cores Poisonous? The Naked Scientists September 2010". Retrieved 6 March 2014. ↑ Blum, M. S.; Woodring, J. P. (1962). "Secretion of Benzaldehyde and Hydrogen Cyanide by the Millipede Pachydesmus crassicutis (Wood)". Science. 138 (3539): 512–513. Bibcode:1962Sci...138..512B. doi:10.1126/science.138.3539.512. PMID 17753947. ↑ Aregheore, E. M.; Agunbiade, O. O. (1991). "The toxic effects of cassava (manihot esculenta grantz) diets on humans: a review". Veterinary and Human Toxicology. 33 (3): 274–275. PMID 1650055. ↑ White, W. L. B.; Arias-Garzon, D. I.; McMahon, J. M.; Sayre, R. T. (1998). "Cyanogenesis in Cassava, The Role of Hydroxynitrile Lyase in Root Cyanide Production". Plant Physiology. 116 (4): 1219–1225. doi:10.1104/pp.116.4.1219. PMC 35028 . PMID 9536038. ↑ "Making Sense of the Chemistry That Led to Life on Earth". Retrieved 5 May 2015. 1 2 Borowitz JL, Gunasekar PG, Isom GE (12 Sep 1997). "Hydrogen cyanide generation by mu-opiate receptor activation: possible neuromodulatory role of endogenous cyanide". Brain Res. 768 (1–2): 294–300. doi:10.1016/S0006-8993(97)00659-8. PMID 9369328. ↑ Gunasekar PG, Prabhakaran K, Li L, Zhang L, Isom GE, Borowitz JL (May 2004). "Receptor mechanisms mediating cyanide generation in PC12 cells and rat brain.". Neurosci Res. 49 (1): 13–18. doi:10.1016/j.neures.2004.01.006. PMID 15099699. ↑ Smith RP, Kruszyna H (Jan 1976). "Toxicology of some inorganic antihypertensive anions.". Fed Proc. 35 (1): 69–72. PMID 1245233. ↑ Matthews, C. N. (2004). "The HCN World: Establishing Protein – Nucleic Acid Life via Hydrogen Cyanide Polymers". Origins: Genesis, Evolution and Diversity of Life. Cellular Origin and Life in Extreme Habitats and Astrobiology. 6. pp. 121–135. doi:10.1007/1-4020-2522-X_8. ISBN 978-1-4020-2522-8. ↑ Al-Azmi, A.; Elassar, A.-Z. A.; Booth, B. L. (2003). "The Chemistry of Diaminomaleonitrile and its Utility in Heterocyclic Synthesis". Tetrahedron. 59 (16): 2749–2763. doi:10.1016/S0040-4020(03)00153-4. 1 2 Snyder, L. E.; Buhl, D. (1971). "Observations of Radio Emission from Interstellar Hydrogen Cyanide" (pdf). Astrophysical Journal. 163: L47–L52. Bibcode:1971ApJ...163L..47S. doi:10.1086/180664. ↑ Jørgensen, Uffe G. (1997), "Cool Star Models", in van Dishoeck, Ewine F., Molecules in Astrophysics: Probes and Processes, International Astronomical Union Symposia. Molecules in Astrophysics: Probes and Processes, 178, Springer Science & Business Media, p. 446, ISBN 079234538X. ↑ Treffers, R.; Larson, H. P.; Fink, U.; Gautier, T. N. (1978). "Upper limits to trace constituents in Jupiter's atmosphere from an analysis of its 5-μm spectrum". Icarus. 34 (2): 331–343. Bibcode:1978Icar...34..331T. doi:10.1016/0019-1035(78)90171-9. ↑ Bieging, J. H.; Shaked, S.; Gensheimer, P. D. (2000). "Submillimeter‐ and Millimeter‐Wavelength Observations of SiO and HCN in Circumstellar Envelopes of AGB Stars". Astrophysical Journal. 543 (2): 897–921. Bibcode:2000ApJ...543..897B. doi:10.1086/317129. ↑ Schilke, P.; Menten, K. M. (2003). "Detection of a Second, Strong Sub-millimeter HCN Laser Line toward Carbon Stars". Astrophysical Journal. 583 (1): 446–450. Bibcode:2003ApJ...583..446S. doi:10.1086/345099. 1 2 Boger, G. I.; Sternberg, A. (2005). "CN and HCN in Dense Interstellar Clouds". Astrophysical Journal. 632 (1): 302–315. arXiv:astro-ph/0506535 . Bibcode:2005ApJ...632..302B. doi:10.1086/432864. ↑ Gao, Y.; Solomon, P. M. (2004). "The Star Formation Rate and Dense Molecular Gas in Galaxies". Astrophysical Journal. 606 (1): 271–290. arXiv:astro-ph/0310339 . Bibcode:2004ApJ...606..271G. doi:10.1086/382999. ↑ Gao, Y.; Solomon, P. M. (2004). "HCN Survey of Normal Spiral, Infrared‐luminous, and Ultraluminous Galaxies". Astrophysical Journal Supplement Series. 152: 63–80. arXiv:astro-ph/0310341 . Bibcode:2004ApJS..152...63G. doi:10.1086/383003. ↑ Wu, J.; Evans, N. J. (2003). "Indications of Inflow Motions in Regions Forming Massive Stars". Astrophysical Journal. 592 (2): L79–L82. arXiv:astro-ph/0306543 . Bibcode:2003ApJ...592L..79W. doi:10.1086/377679. ↑ Loenen, A. F. (2007). "Molecular properties of (U)LIRGs: CO, HCN, HNC and HCO+". Proceedings IAU Symposium. 242: 462. Bibcode:2007IAUS..242..462L. doi:10.1017/S1743921307013609. ↑ Zubritsky, Elizabeth; Neal-Jones, Nancy (11 August 2014). "RELEASE 14-038 – NASA's 3-D Study of Comets Reveals Chemical Factory at Work". NASA. Retrieved 12 August 2014. ↑ Cordiner, M.A. ; et al. (11 August 2014). "Mapping the Release of Volatiles in the Inner Comae of Comets C/2012 F6 (Lemmon) and C/2012 S1 (ISON) Using the Atacama Large Millimeter/Submillimeter Array". The Astrophysical Journal. 792 (1): L2. doi:10.1088/2041-8205/792/1/L2. 1 2 Environmental and Health Effects. Cyanidecode.org. Retrieved on 2012-06-02. ↑ Dwork, D.; van Pelt, R. J. (1996). Auschwitz, 1270 to the present. Norton. p. 443. ISBN 0-393-03933-1. ↑ "Hydrogen Cyanide". Organisation for the Prohibition of Chemical Weapons. Retrieved 2009-01-14. ↑ "The Poison Garden website". Retrieved 18 October 2014. ↑ "Documentation for Immediately Dangerous to Life or Health Concentrations (IDLHs) – 74908". NIOSH.